Dave Cullen has been covering the blight of mass murders in America for two decades, first with COLUMBINE, now PARKLAND: BIRTH OF A MOVEMENT. COLUMBINE was a New York Times bestseller and the consensus definitive account. 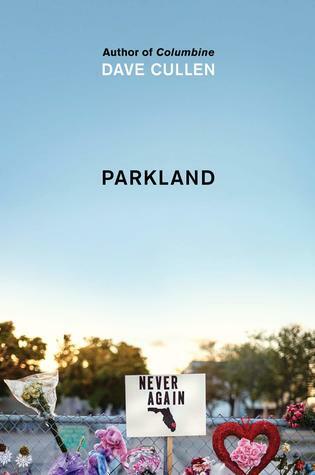 Parkland is a story of hope: the genesis of the extraordinary March for Our Lives movement. Dave was with the students from the beginning, with unparalleled access behind the scenes. Columbine made two dozen Best of 2009 lists including New York Times, and won several major awards, including the Edgar and Goodreads Choice Award for best nonfiction of the year. It now appears on several all-time True Crime Top 10 lists. Dave has written for New York Times, London Times, Vanity Fair, BuzzFeed, Politico, New Republic, Newsweek, Guardian, Washington Post, Daily Beast, Slate, Salon, The Millions, Lapham's Quarterly, etc. He has appeared on PBS Newshour, NBC Nightly News, Today, CBS Sunday Morning, Nightline, Morning Edition, CBS This Morning, New Day, Anderson Cooper 360, Rachel Maddow, Chris Hayes, Lawrence O'Donnell, Talk of the Nation, The Nineties, Hannity, etc. Dave is a former gay army infantry grunt. Parkland struck while he was in year 18 of a book about two ggay soldiers. He will finish that soon. Dave wrote Columbine in Colorado, then moved to NYC. He is uncle to 11 cool humans and 1 adorable corgi, Bobby Sneakers.